The German captain who carried a group of migrants to Malta was once again in court on Thursday to face charges of steering an unregistered boat within Maltese territorial waters without the necessary registration and licence. Claus Peter Reisch, a 57-year old German national, was arraigned under summons five days after the vessel docked at Boiler Wharf in Senglea. The ship was carrying 233 migrants it had rescued off Libya when it docked at Boiler Wharf in Senglea. 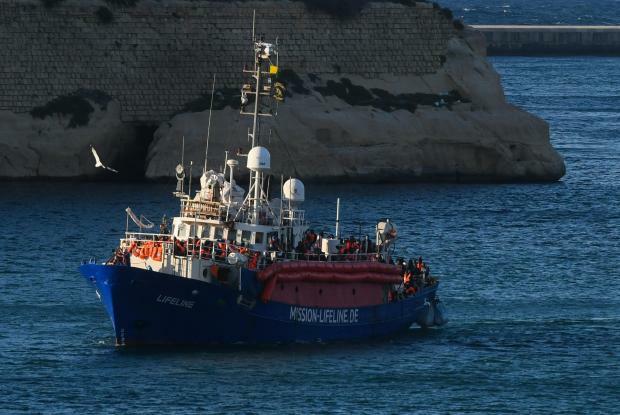 Sergeant Daniel Felice from the immigration department at seaport said the vessel first entered Malta on June 10 when it had come in for repairs. Asked by defence lawyer Cedric Mifsud whether he had seen any irregularities onboard, Mr Felice said he was only involved with analysing information on the passengers and so would not know anything about such issues. Police constable Karl Micallef said he was asked to take photos of the vessel and with drawing up a report, which he presented to the courts. Dr Mifsud again asked whether he had spotted any irregularities, to which the police officer said he was only responsible for taking photos. Colonel Clinton O’Neill, head of operations for the AFM, said he was informed about the boat on June 21. “We were informed that he was asked to coordinate with the Libyan authorities but he did not obey such orders and starting moving upwards. Rome immediately said the vessel would not be allowed in and since they were not following instructions of the Libyan authorities, the captain was asked to contact the flag state." The Italian authorities informed the AFM that the ship entered Maltese waters on June 24. 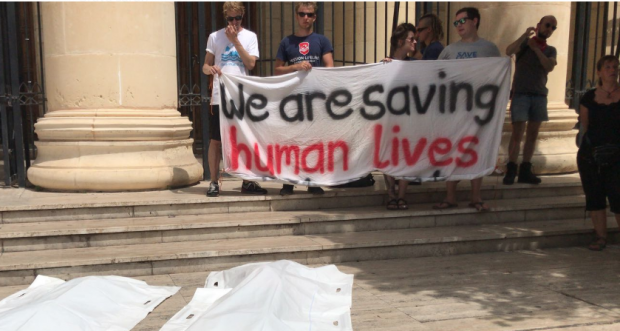 “We did not take this case over because Malta was not first the first Rescue Coordinator Centre nor the coordinating authority. We again urged the captain to contact the flag state. “The ship continued moving towards Malta. At one point the captain wanted to dock in Malta but again we informed him we could not act as the place of safety,” he said, adding that at this point the Maltese authorities had provided supplies. The colonel said the AFM spoke to the captain on several occasions, each time informing him it was futile requesting to be offered a place of safety because Malta could not do so. Asked by the prosecution whether the authorities were monitoring the vessel, the colonel said there were times when the ship's communication systems were not working, noting that most correspondence was taking place via e-mail. Meanwhile, the captain informed the AFM that some of those on board were facing health issues. Fielding questions from Dr Mifsud, Mr O'Neill said that the AFM did not exercise its right of visit as the vessel's certificates were still being verified. Asked whether he was informed by the Italian authorities about the first requests made by the captain, Mr O'Neill said he did not see such communication himself. “Are you aware the Italians asked him to get in touch with Libya?” Dr Mifsud said, to which Mr O'Neill replied he did not know anything about this. On the instructions handed out on the last day, Mr O'Neill said that instructions to enter Malta on humanitarian basis were handed out via e-mail. “When there was someone with an acute hernia, we were in touch with him and trying to coordinate how to get the passenger off the boat. The captain at one point continued on the route towards Malta and when we tried to call him, he said something about the patient and he hung up,” Mr O'Neill said. The colonel said he was not aware of any irregularities on board. General registrar of vessels Ivan Sammut, from Transport Malta, said their Dutch counterparts confirmed the vessel was not registered in the Netherlands and that the ship was only registered as a pleasure yacht. “A boat without a nationality cannot be in international waters,” the registrar said. When Dr Mifsud questioned the registrar's understanding of the certificate, the magistrate said he would not accept interruptions that seem intended to slow the process down. “Sit down or I will be forced to suspend the sitting. Are we to believe that we cannot trust our officials to know about things,” he told Dr Mifsud, adding that the defence counsel would be able to ask all questions during the counter examination. Asked why the authorities had issued an Maritime Mobile Service Identity number but then denied it was registered in Holland, Mr O’Neill said this was the same question asked by local authorities. He explained that their counterparts in Holland had explained that the MMSI number did not serve as a certificate of registration. In comments outside court at the end of the sitting, Mr Reisch insisted that saving lives was not a crime and said he hoped that the case against him would not drag on as he wished to return home to his elderly mother. “Malta is beautiful but I have a 92-year-old mother at home and I am the only one who can care for her,” the captain said. Gianluca Cappitta and Neil Falzon were also defence counsel. Assistant commissioner Stephen Mallia and Inspectors Mario Haber and Daryl Borg prosecuted. Magistrate Joseph Mifsud is presiding over the case. Meanwhile, eight EU member states as well as Norway have agreed to an ad hoc plan to distribute the migrants among themselves. Some of these left for France earlier on Thursday.